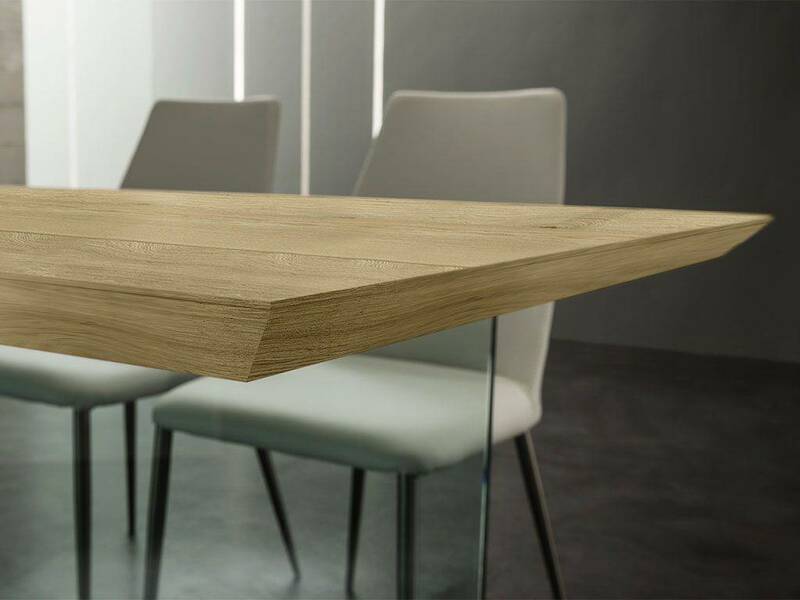 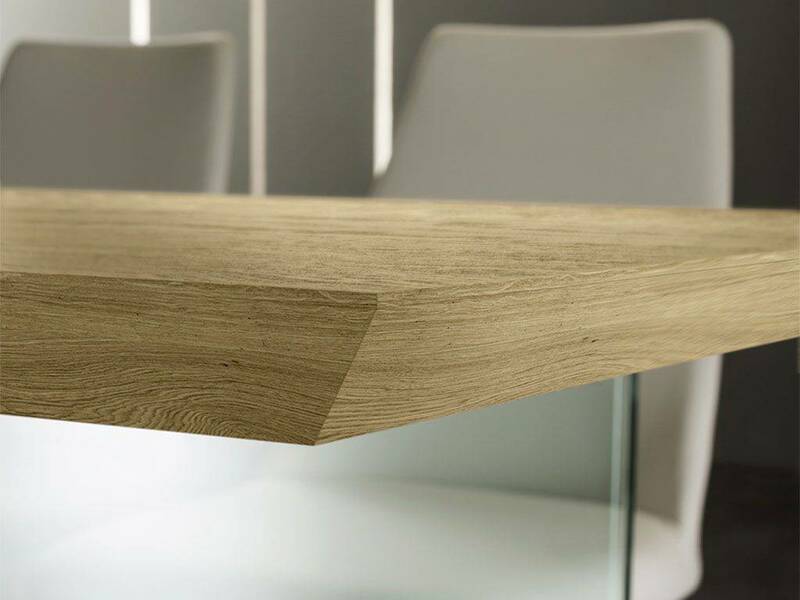 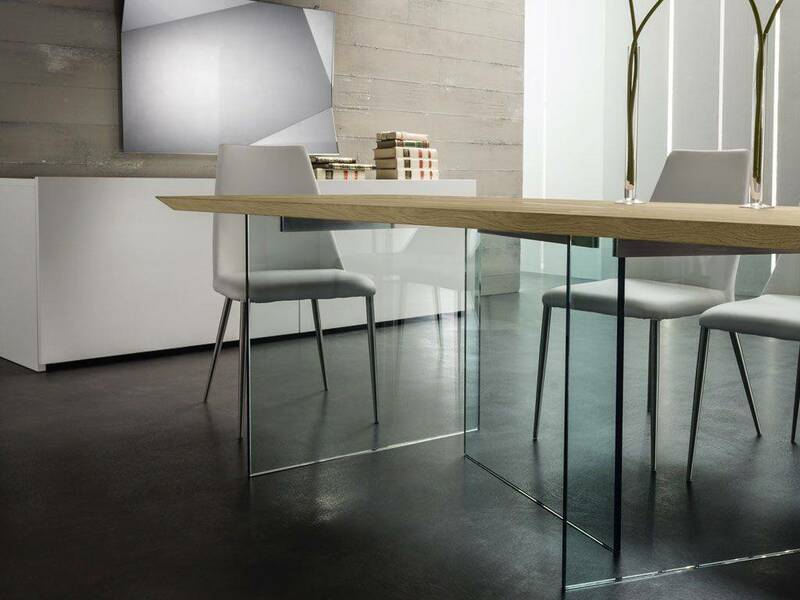 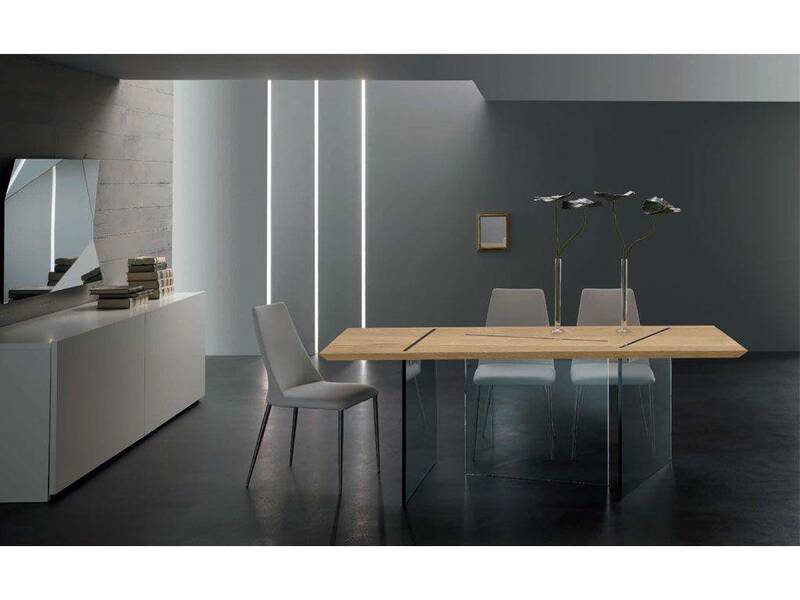 Set table with base in transparent glass 19 mm thick, and flat in oak in natural colour 42 mm thick with flared edges. 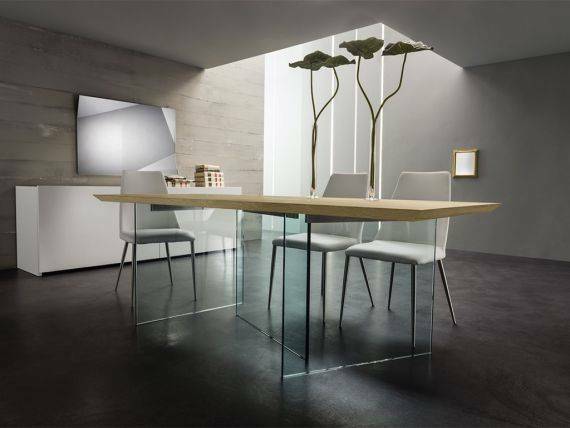 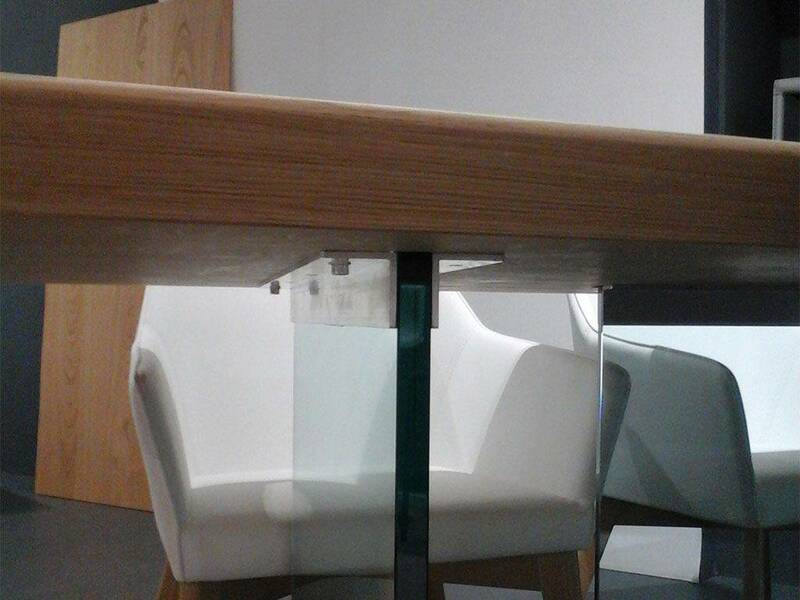 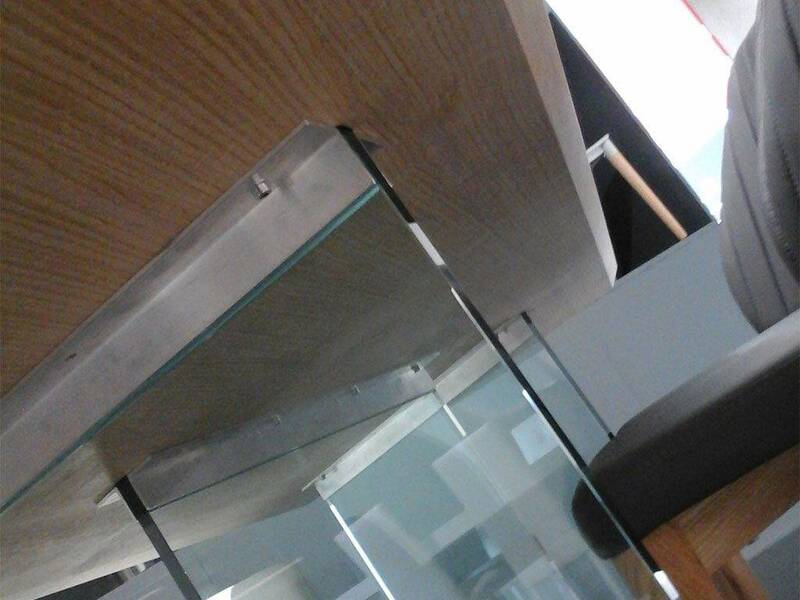 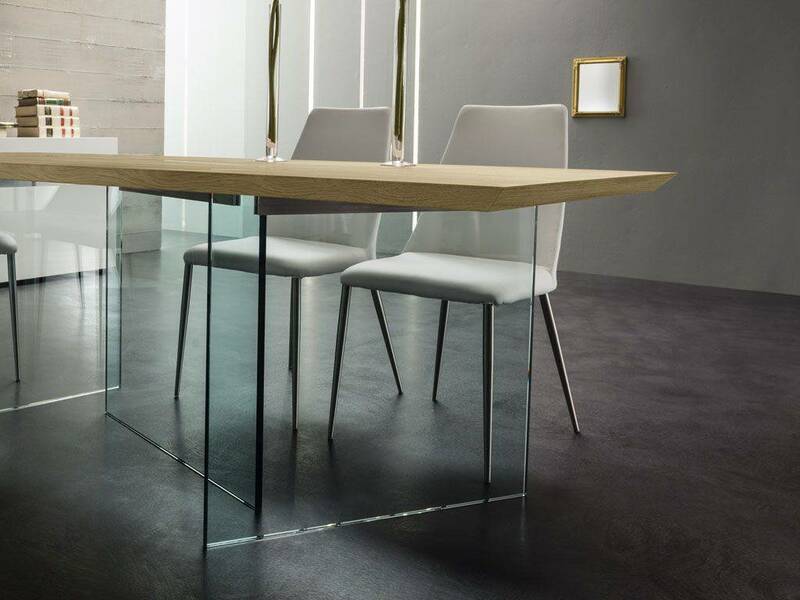 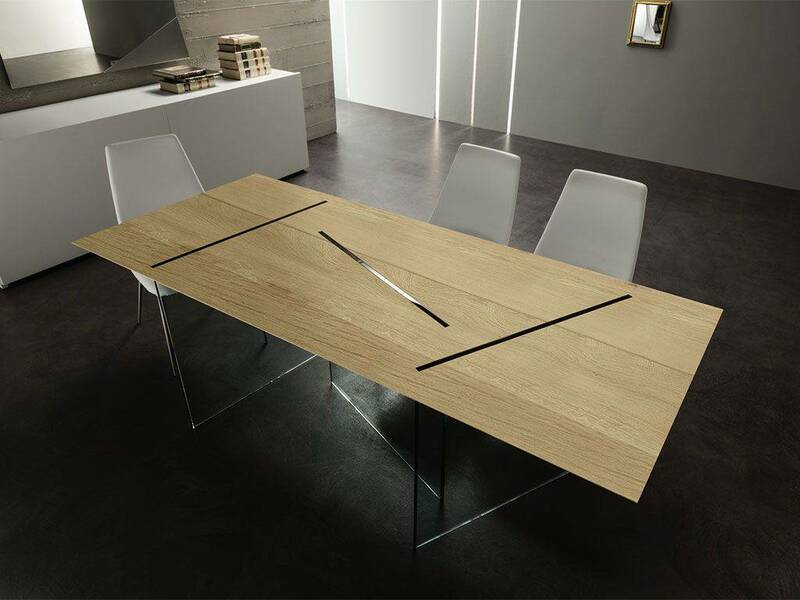 This table is a mix between the strength of wood and the elegance of the glass, it gives life to a unique design. Ideal for each ambiance, it's a touch of style and finesse.